Write a program in C to find the largest and smallest word in a string. Input the string : It is a string with smallest and largest word. 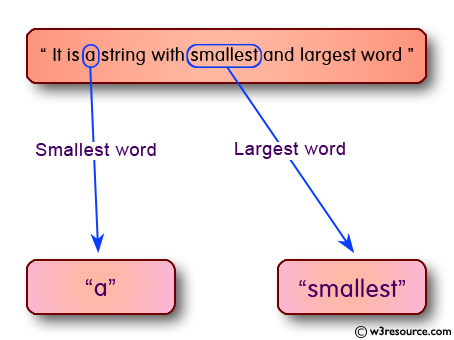 in the string : 'It is a string with smallest and largest word'. Previous: Write a program in C to Concatenate Two Strings Manually. Next: Write a program in C to convert a string to uppercase.